The concept of high reliability organizations is nothing new, yet public reports continue to suggest health systems are lagging in obtaining highly-reliable, systematic, hardwired practices that lead to better care delivery for every patient, every time. Knowing the benefits that other industries have gained from being highly reliable, what’s keeping healthcare organizations from moving forward with new ways to ensure the continued and improved care of their patients? The Premier® team surveyed 260 U.S.-based healthcare professionals to find out. A lack of familiarity with the concepts of high reliability exist. Communication breakdowns within organizations stall movement toward reliability. Both aspirational and unrivaled thinking prolong progress. Cost and culture are perceived as the top challenges in becoming a high reliability organization. 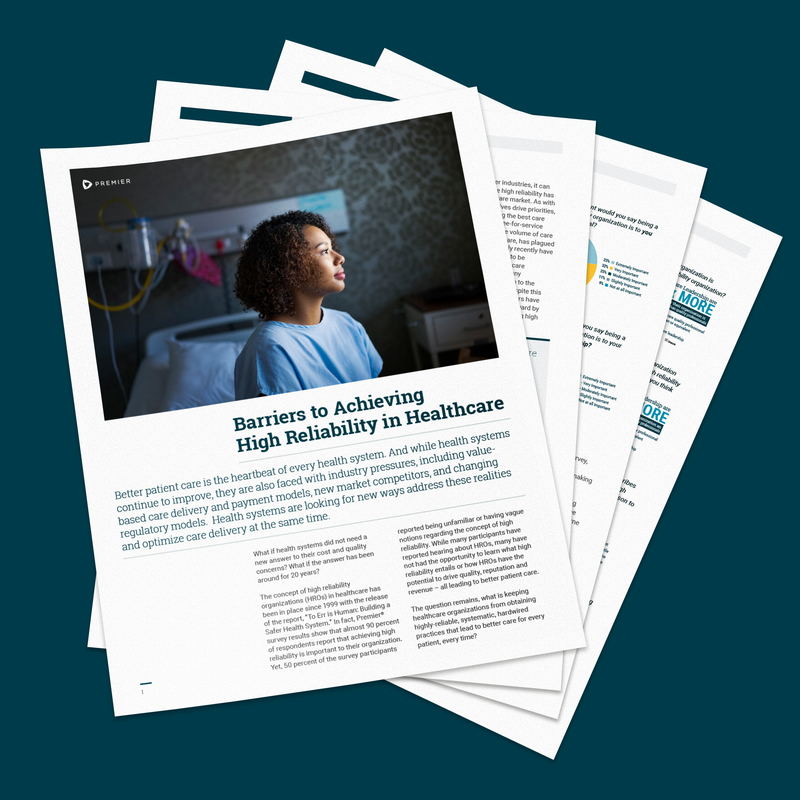 Download the survey report to learn more about these findings and the steps your organization can begin taking toward removing variation and achieving better, highly-reliable care delivery.